Video Conference Call - Global TaNK Co., Ltd. Note 1: Minimum term: one year. In the event of early cancellation, remaining months must be paid for. Note 2: Billing begins on the first of the month after enrollment. Cancellation takes effect at the end of the following month after we receive your request for cancellation. No reservation required. The service is ready when you are. Unlimited conferencing from ¥19,000 per month. 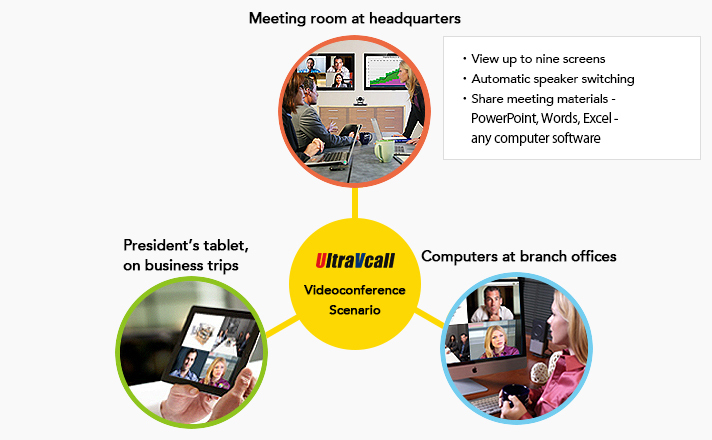 Conference anytime, from one-on-one video calls to large meetings with up to 25 people per connection. 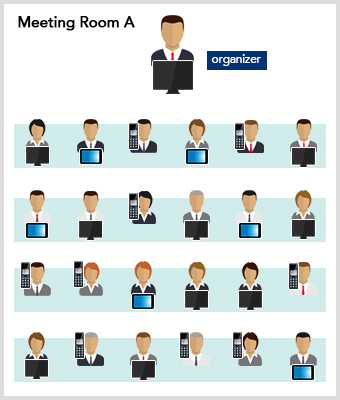 Optionally, you can also arrange conferences with more than 25 users. Contact us for details. Email or your completed and signed application to vcall@globaltank.jp. Faxes also accepted. You will receive notification by email in about 5 business days when the service is ready. Prepare webcams, headsets, speaker microphones or other necessary conferencing equipment. For tips on recommended equipment, contact us. 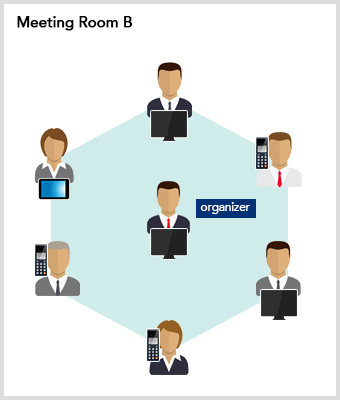 Accessing this service from an existing videoconferencing system requires a gateway. Service video and audio quality vary depending on your devices' processing capacity and connection environment. Design and specifications mentioned are subject to change without notice. Product names mentioned are trademarks or registered trademarks of their respective owners.